Potential customers we approach often cite a lack of contacts, insufﬁcient market information or intelligence and inadequate ﬁnance as the main reasons they don’t export. The unsuitability of exporting their product or service is also a factor. The internet plays a crucial role in attracting international customers, and a localised google ad campaign can go some way to compensating for a lack of international contacts. The DIT can also help to connect UK businesses with industry contacts in other countries. Knowing where there is demand for particular products or services is a further barrier for businesses targeting new markets.The level of risk involved in exporting means that businesses want to be certain that there is demand for their product or service in a particular market and access to market information is seen as crucial. The DIT publishes statistics to steer businesses in the right direction. Another way to test the market is with a microsite, which Web-Translations can help to create. A translated microsite, with appropriate marketing, can indicate whether there is demand in a particular country. Contact us for more information. 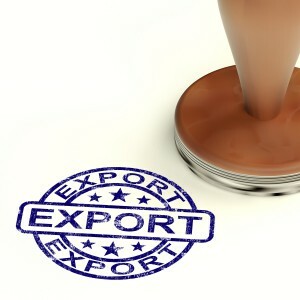 Insufﬁcient ﬁnance is also cited as a barrier to exporting. Adopting a reactive approach to export could require very little investment or resources, other than shipping and taxation considerations. However, adopting a more proactive approach could require additional ﬁnance. If a bank loan isn’t right for you, consider peer-to-peer lending. A local Leeds-based company, Rebuilding Society, is a good option for small business loans.